The Bombay High Court in Rajendra vs. State Of Maharashtra, held that the cognisance of offences punishable under Chapter IV of the Drugs and Cosmetics Act, 1940, cannot be taken on the basis of the charge sheet filed by the police under section 173 of the Code of Criminal Procedure (CrPC). “Do not pit one community against another”, the Calcutta High Court told the Government of West Bengal led by Mamta Banerjee while hearing petitions challenging restriction imposed on immersion of Durga idols beyond 4 pm on Bijoya Dashami. The court also held that devotees were entitled to immerse Durga idols in the evening of Bijoya Dashami and such immersion must be completed by 8.30 pm. The Delhi High Court in Sudha Gupta v. Har Prasad Gupta, clarified that the object of decree for restitution of conjugal rights is to bring about cohabitation between the parties, so that they can live at the matrimonial home in amity. The Delhi High Court in Santosh Sahayvs Hanuman Sahay, has held that if a false character assassination allegation is made by either spouse, it would invariably constitute matrimonial cruelty to entitle the other spouse to seek divorce. 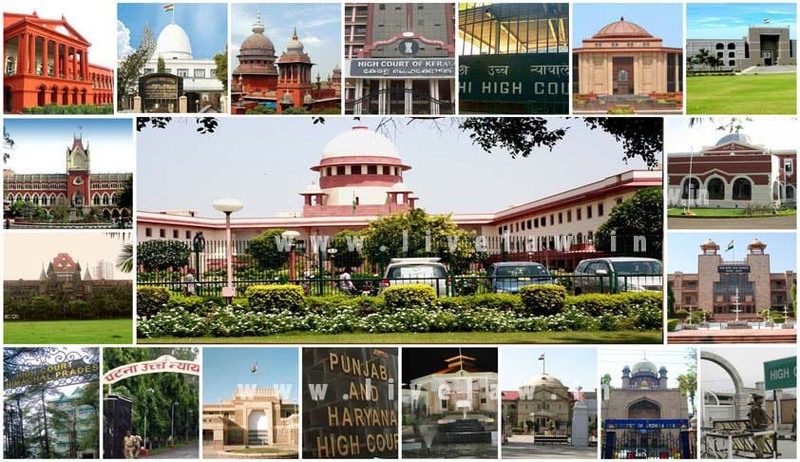 Dismissing an appeal petition on interlocking reservation, the High Court recently affirmed that reservation for the physically handicapped is horizontal (special category) and cannot be merged with vertical (social category) reservation for determination of eligibility and vacancies.